So guess what? 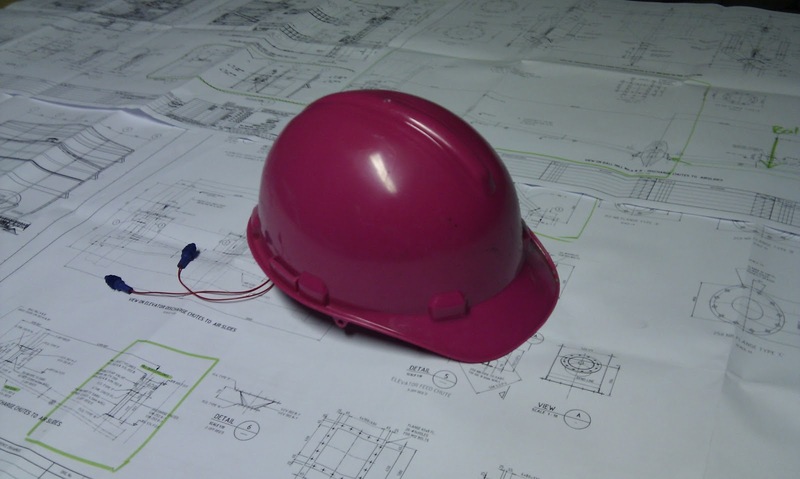 I have a real life pink hard hat! It is SO beautiful and is just the most perfect thing in the world right now. As you would imagine, work has been Uber busy of late. I have just completed a project concerning the throughput of our Crushing and Screening plant. The plant was designed to handle the output for two phases, but currently cant even handle Phase I’s output! So I was sent in to try and locate the problem. It was quite an interesting project, and I wish I could go into it a bit more, but I doubt my company would appreciate that very much! What was really exciting was that in order to assess the actual throughput rate of the plant, I designed and ran an experiment of colossal proportions. I stopped the entire crushing plant, and ran 400 tons of material through it! It took about 4 hours in total and a couple more to weigh everything up, but was a completely insane experience! So all in all, I’m loving being an engineer so far. Its so different to student life-very “Real World”. I can actually see the effect of things that get done. People are working, really working and making things happen on this plant. Its a great study in Cause-and-Effect which puts things into perspective, especially as a recent graduate! I’m learning so much, getting my hands dirty and meeting awesome people who are so willing to teach and guide. I’m currently working on my next project, which should take a few weeks to put together. ‘Busy’ just got a whole new meaning! Oh yes, and I found a new home, on an orange farm/ guest lodge, with orange orchards and dogs and river-rafting! I never thought I’d be so happy to be a farm-girl again, but this place is a dream…I know I’m gonna love my two years in Steelpoort! The hardhat! So pink! It burns!!!! !